Never Not Knitting: Never Not Knitting... 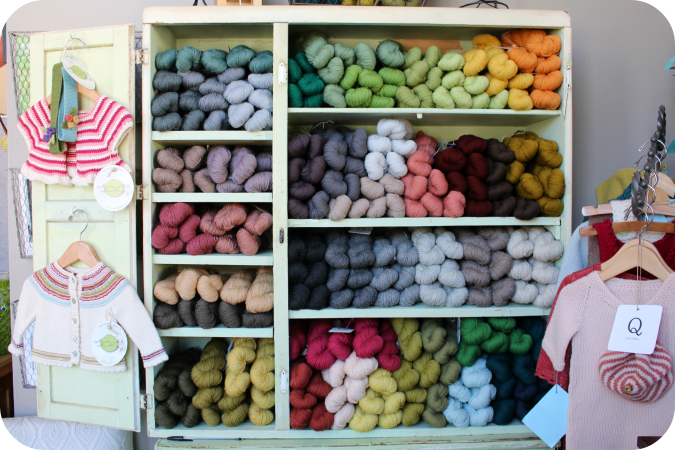 The Yarn Shop! Looks so relaxing and beautiful. Just love how you designed this shop. Congratulations. Congratulations Alana! It looks so beautiful - and what a great, fun, new project! Good Luck - your store looks really charming! 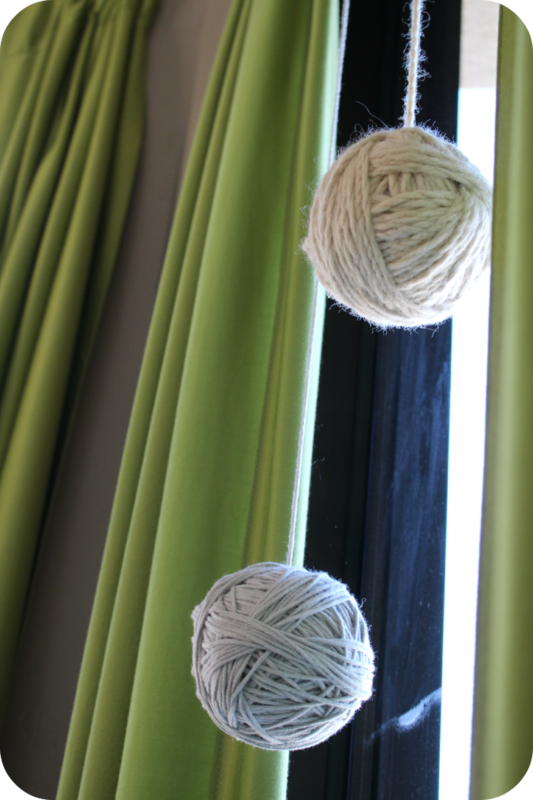 I love the the way you have the patterns stored, and the yarn balls hanging in the window! Adorable! Could be worth a trip to my college home just for this. You continue to amaze me. What a lovely shop! I can't wait to get back to Atascadero to visit. The yarn lines you carry are wonderful. Congratulations on your new and exciting enterprise! was just up in SLO for my daughter's graduation..not sure if I can make it for your opening weekend, but....I will definitely be up there again...hope to see your shop soon!!! All the best! 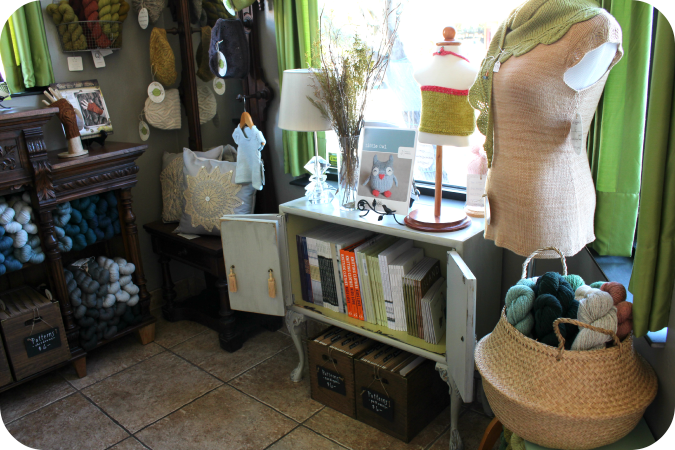 It looks as if your store already boasts all the details we have come to love about your patterns and style. This looks so lovely! Congrats to you! Beautiful! I hope I can visit one day! So pretty makes me want to knit right now! Your shop looks lovely. We just got back from Atascadero for my grand daughters graduation. I'll have to drop in the next time I visit. Congratulations, this looks wonderful. I drive up the coast from San Diego to Monterey every now and then and will pass your town on the way. Next time I will try to stop there for a wonderful yarn break. Wow!! Congratulations!!! That is so neat! Too bad I don't live close by..I would definitely shop there! All the best to you!! What a lovely shop: wishing you every success! Your podcast is my favorite. I look forward to it every month! Wish you luck and all the best with the new venture! Hooray!! 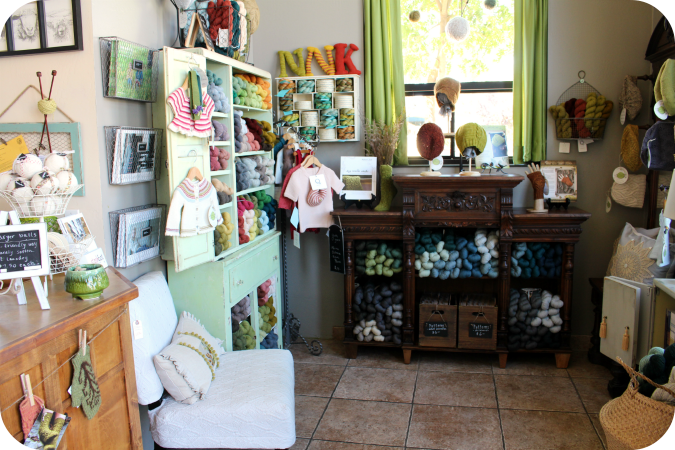 It looks so wonderful, I love all the thoughtful details like the open/closed sign and the balls of yarn in the window. I'm sure it's going to be a hit! I can't wait to see your shop Alana! I definitely will stop by on my next trip down the coast. Congratulations! Congratulations, the shop is beautiful! If I ever take a costal California trip (which I am longing for) this will be at the top of my list! This looks terrific! What a charming shop. Wishing you all the best. Wish I lived closer and could come visit. 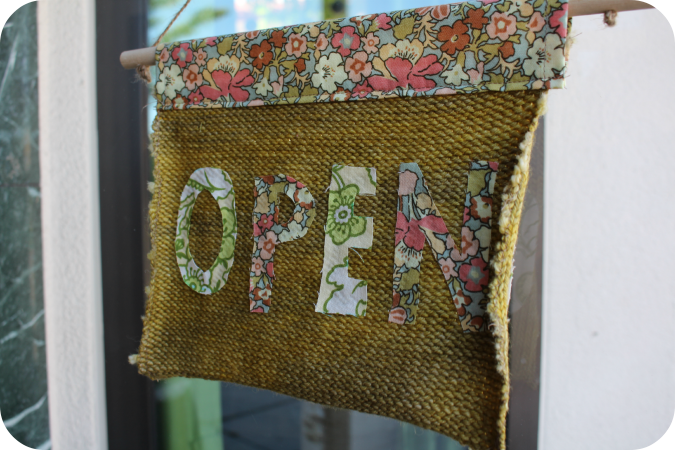 The little "open" sign is adorable, too. Congrats ! This Very prettttyyyyy ! Oh! I will be out to visit next month. 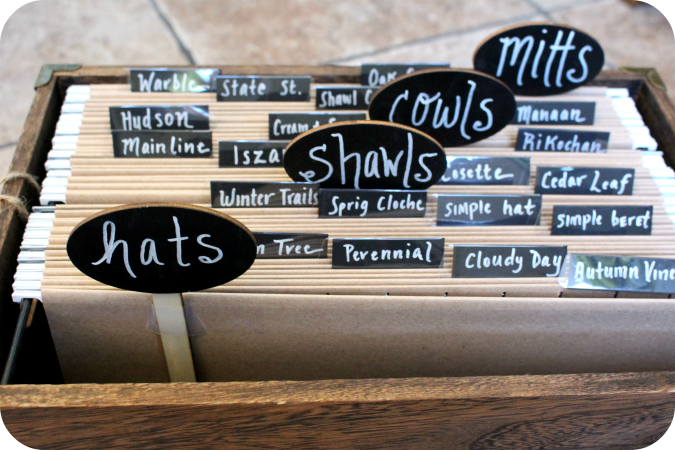 I really, really want some Quince & Co. My guild is talking about making a day trip to visit, too. 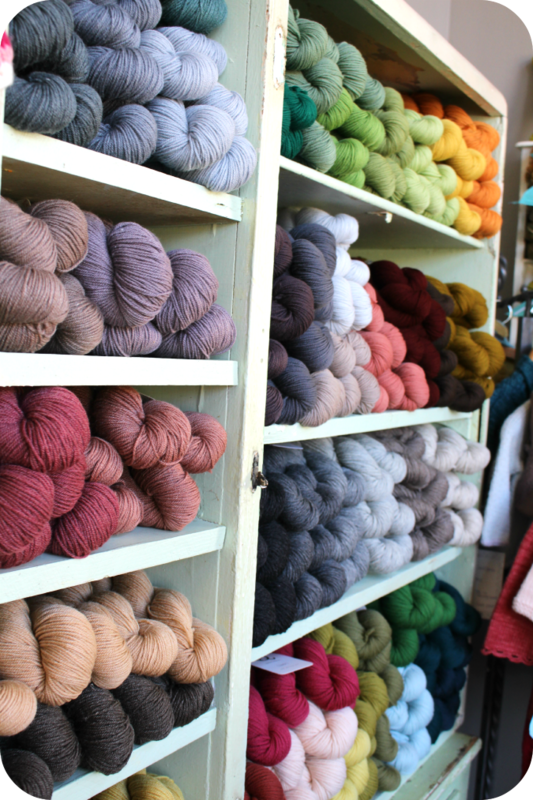 well, well, well....I do live in California...and I do love to knit...and i DO want to come shop!!!! Looking forward to coming for a visit soon!!! Well, this is totally amazing. I recently started following your blog and live in Los Osos so I'll try to stop by next time I'm in Atascadero. Good luck on you new store. Congratulations! Next time I come home, you're on my list of stops to make. Congratulations! 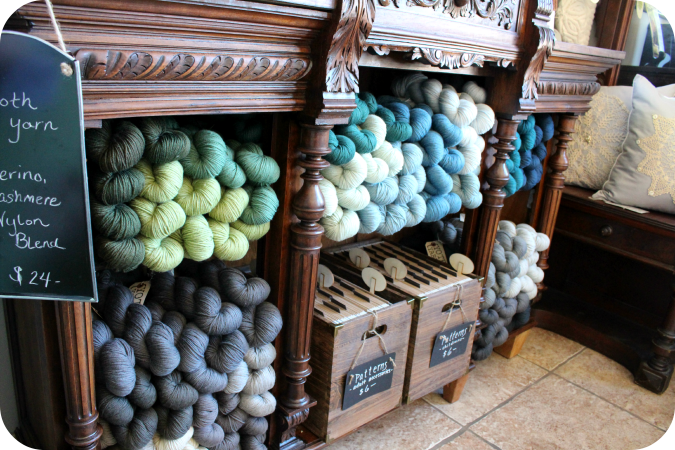 Three of my favorite yarn companies! Congratulations! How exciting. 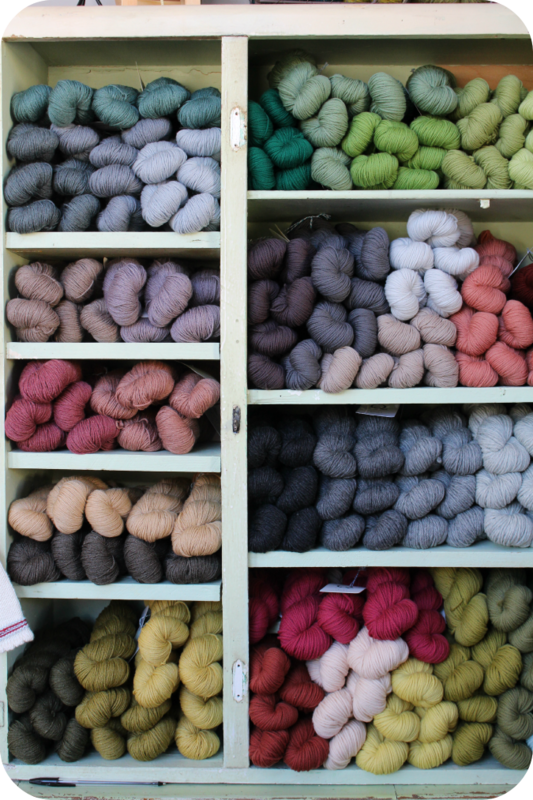 I love the concept — it's great to have full service yarn stores, but if selling yarn isn't the main revenue-driver, how lovely to be able to showcase your favourite yarns in limited quantities.